F1 2009 is the first in a new generation of FORMULA 1 video games featuring Lewis Hamilton, Fernando Alonso, Sebastian Vettel and all the official drivers, teams and circuits from the FIA FORMULA 1 World Championship series. New aerodynamic regulations, the return of slick tires and the introduction of KERS are set to make 2009 the most exciting season to date and F1 2009 will be every bit as thrilling. 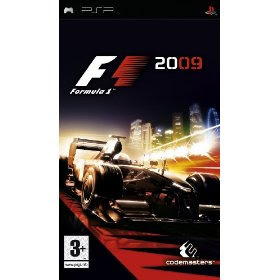 A fully licensed, authentic and challenging FORMULA 1 experience, F1 2009 will take gamers as close as possible to the most spectacular motorsport on the planet.